Welcome to the first episode of the CodingTheSmartWay.com TensorFlow.js Crash Course for absolute beginners. 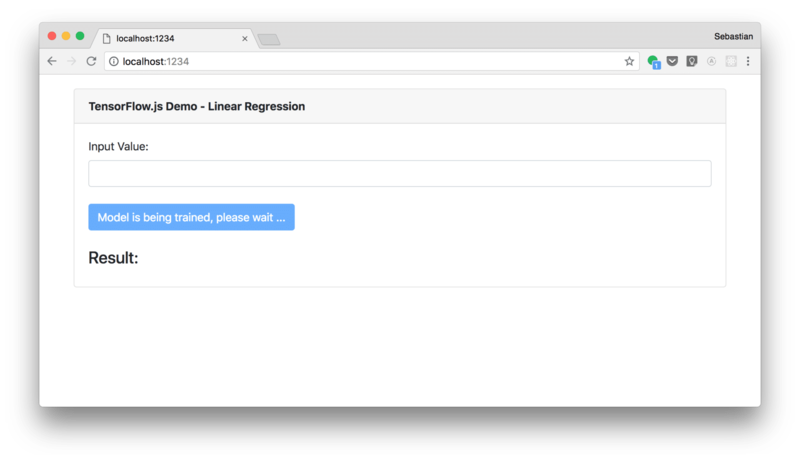 You can even use TensorFlow.js to retrain pre-existing machine learning models with data which is available client-side in the browser. E.g. you can use image data from your web cam. 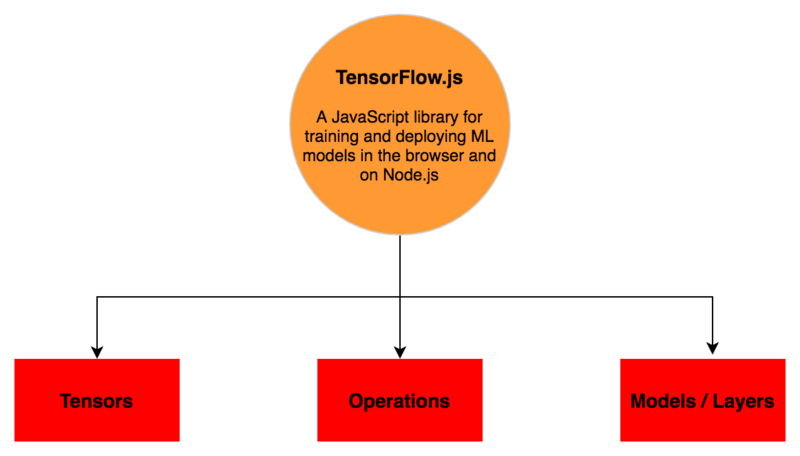 Before getting started with practical example let’s take a look at the main building blocks in TensorFlow. The result would be the same as before. In TensorFlow.js all tensors are immutable. That means that a tensor once created, cannot be changed afterwards. If you perform an operation which is changing values of a tensor, always a new tensor with the resulting value is created and returned. By using TensorFlow operations you can manipulate data of a tensor. Because of the immutability of tensor operations are always returning a new tensor with the resulting values. Models and Layers are the two most important building blocks when it comes to deep learning. Each model is build up of one or more layers. TensorFlow is supporting different types of layers. For different machine learning tasks you need to use and combine different types of layers. For the moment it’s sufficient to understand that layers are used to build up neural networks (models) which can be trained with data and then used to predict further values based on the trained information. Ee’re writing the text Hello World to the element with ID output to see a first result on the screen and get the confirmation that the JS code is being processed correctly. 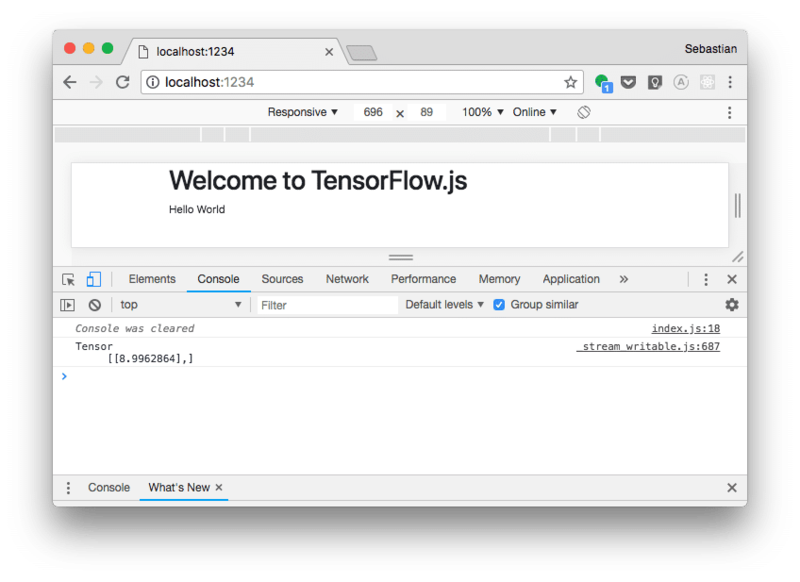 As we’re importing TensorFlow.js as tf we now have access to the TensorFlow.js API by using the tf object within our code. Now that TensorFlow.js is available let’s start with a first simple machine learning exercise. The machine learning szenario the following sample application should cover is based on the formula Y=2X-1, a linear regression. The machine learning exercise we’d like to implement in the following will use input data (X,Y) from this function and train a model with these value pairs. The model will not know the function itself and we’ll use the trained model to predict Y values based on X value inputs. The expectation is that the Y-results which are returned from the model are close to the exact values which would be returned by the function. First we’re creating a new model instance by calling tf.sequential method. We’re getting returned a new sequential model. A sequential model is any model where the outputs of one layer are the inputs to the next layer, i.e. the model topology is a simple ‘stack’ of layers, with no branching or skipping. Having created that model we’re ready to add a first layer by calling model.add. A new layer is passed into the add method by calling tf.layers.dense. This is creating a dense layer. In a dense layer, every node in the layer is connected to every node in the preceding layer. For our simple example it’s sufficient to only add one dense layer with an input and output shape of one to the neural network. In the next step we need to specify the loss and the optimizer function for the model. 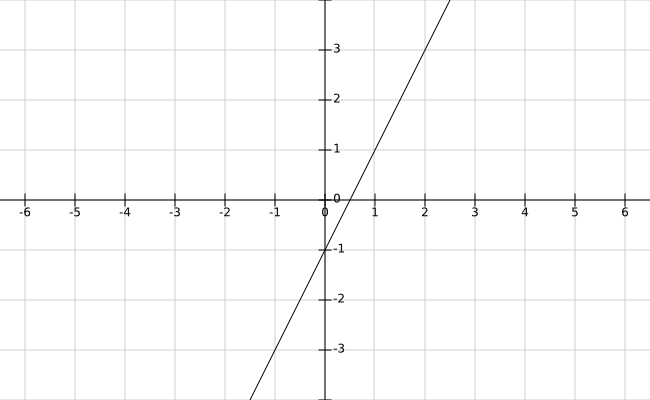 loss: Here we’re using the meanSquaredError loss function. In general a loss function is used to map values of one or more variables onto a real number that represents some “costs” associated with the value. If the model is trained it tries to minimize the result of the loss function. The mean squared error of an estimator measures the average of the squares of the errors — that is, the average squared difference between the estimated values and what is estimated. optimizer: The optimizer function to use. For our linear regression machine learning task we’re using the sgd function. Sgd stands for Stochastic Gradient Descent and it an optimizer function which is suitable for linear regression tasks like in our case. Now that model is configured and the next task to perform is the training of the model with values. Now let’s train the model by passing the two tensors to the call of the model.fit method. As the third parameter we’re passing over an object which contains a property named epochs which is set to the value 500. 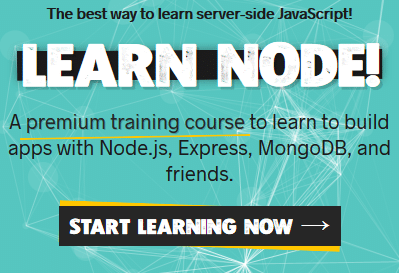 The number which is assigned here is specifying how many times TensorFlow.js is going through your training set. The result of the fit method is a promise so that we’re able to register a callback function which is activated when the training is concluded. The output shows that the predicted value is 8.9962864 and that is very close to 9 which would be the Y value of function Y=2X-1 if x is set to 5. Here we’re making use of various Bootstrap CSS classes, adding input and button elements to the page and defining an area which is used for outputting the result. An event handler for the click event of the predict button is registered. Inside this function the value of the input element is read and the model.predict method is called. The result which is returned by this method is inserted in the element with id output. The user is now able to input the value (x) for which is the Y value should be predicted. The result is then showed directly on the website. 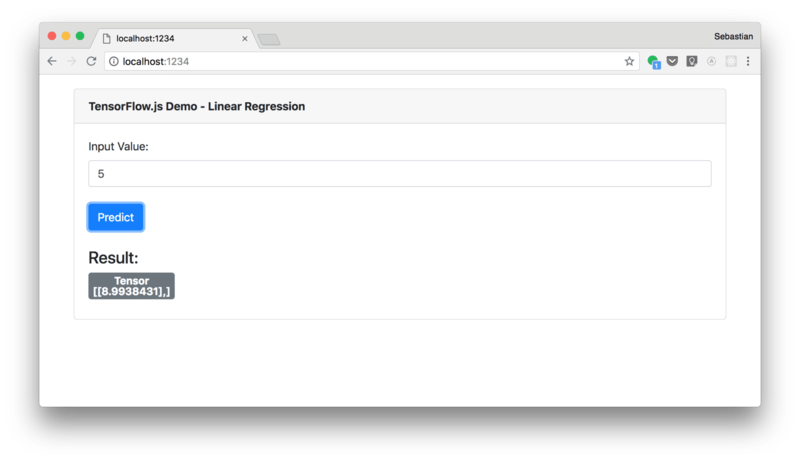 In this first episode of this series you’ve learned the basics of Tensorflow.js and by using that library we’ve implemented a first simple machine learning example based on linear regression. 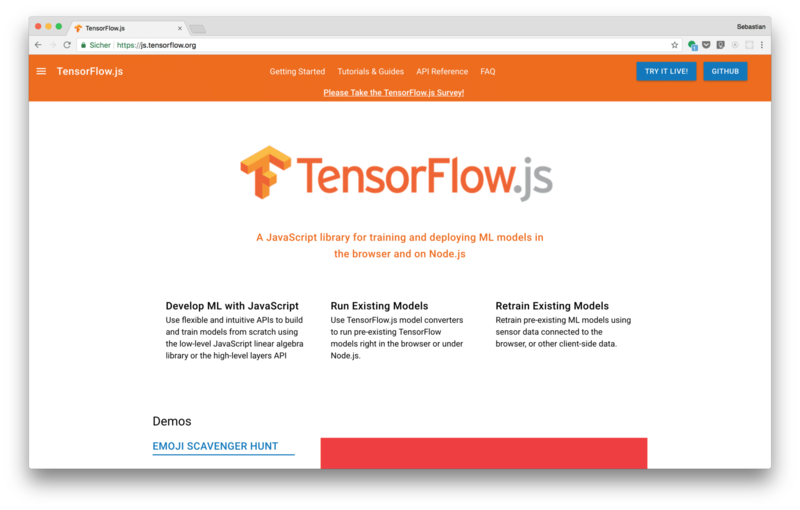 Now you should have a basic understanding of the main Tensorflow.js building blocks. Learn how to use Google’s Deep Learning Framework – TensorFlow – with the best online courses available. 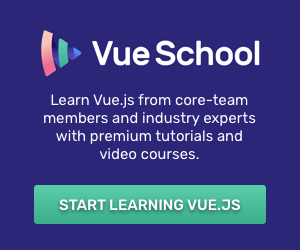 Become a Deep Learning Guru today! 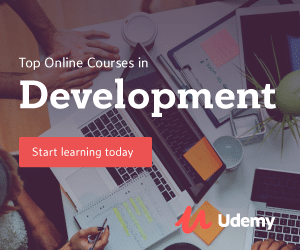 Check out the top TensorFlow developer online courses!